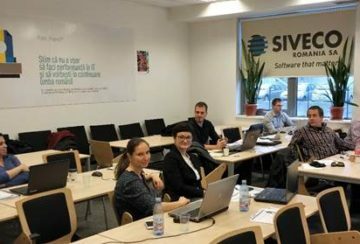 The second meeting of STAGE project took place in Bucharest Romania 09-10/11/2016, at the premises of our major technological partner, SIVECO. During the meeting all partners had the chance to update the project work plan with the latest updates and discussed extensively possible strategies for commercial exploitation as well as user adoption. GEORAMA, that was present at the meeting, presented elements of the platform interphases and designs.